Is your grocery budget struggling? 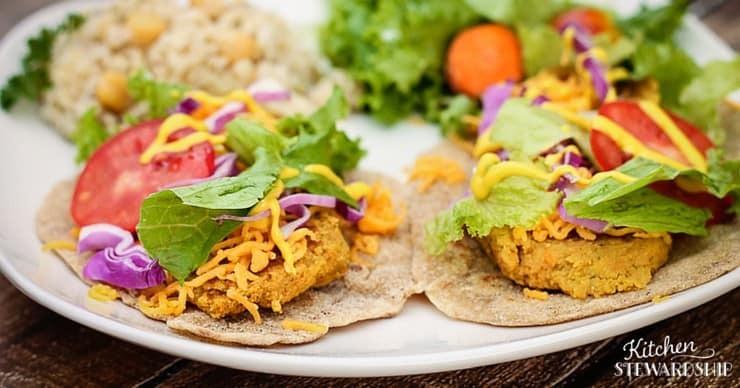 Do you wish you could improve your family’s nutrition without breaking the bank? Have you always wanted to use dry beans, but you’re afraid of the complexity of cooking them or just don’t have any good recipes? I’m thrilled to share an incredibly comprehensive resource explaining everything you want to know about beans and legumes. How do I cook with dry beans? How do I cook and store in bulk? 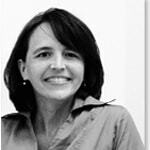 What about picky eaters (the bean haters of the world)? How do I avoid gas? How do I get past the texture? And of course, 30 recipes from appetizer to dessert (Black Bean Brownies! ), all spotlighting the most frugal and nourishing food I know: beans. 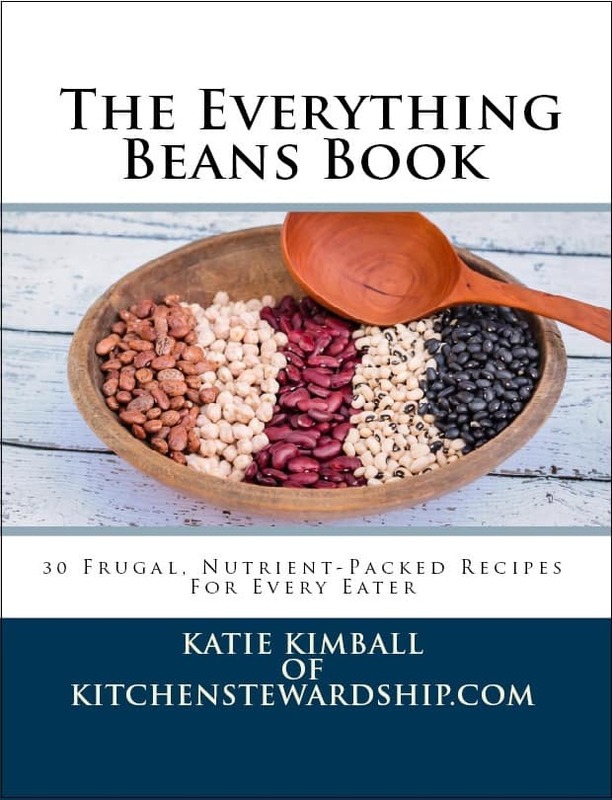 Beyond recipes, The Everything Beans Book also offers over 20 pages of information to facilitate your new love of beans and make sure you can cook with dry beans without any stress, and you even get the Kindle and Nook versions for free when you buy the PDF. 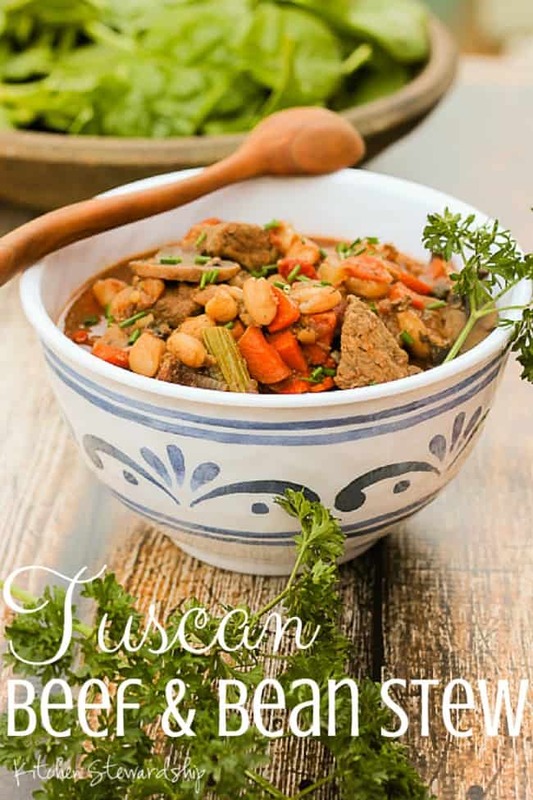 You’ll find recipes for homemade beans and rice, four styles, refried beans, wraps, Mexican fare, soups, pasta dishes, and even a dessert! If you loved Healthy Snacks to Go, you’ll find similar helpful icons and familiar formatting to make sure everyone has success with every recipe. I worked hard with recipe testers to make sure even the most nervous newlywed, new to the kitchen, could cook with beans with ease. Every recipe also includes frugal tips and substitution ideas so those of you who like to play with you recipes have somewhere to start. In essence, most dishes have enough extra versions that one could almost say there are 100 beans recipes in these 95 pages! 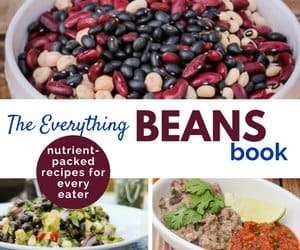 Beyond recipes, The Everything Beans Book also offers over 20 pages of information to facilitate your new love of beans and make sure you can cook with dry beans without any stress. There is also a 2 week meal plan using recipes from the book including shopping list and prep lists so cooking is super straightforward and easy! Buy now, only $9.95 $8.95! Here is a sample of The Everything Beans Book, including five recipes you can have for free! View the table of contents and get a feel for how to book is laid out, and you’ll see that it will certainly become indispensable in your kitchen. You also might like Healthy Snacks to Go, which is on the screens of more than 10,000 folks, Smart Sweets, which also includes the Black Bean Brownies found in this book, or The Family Camping Handbook. View all of my eBooks HERE including bundled packages at a discount! 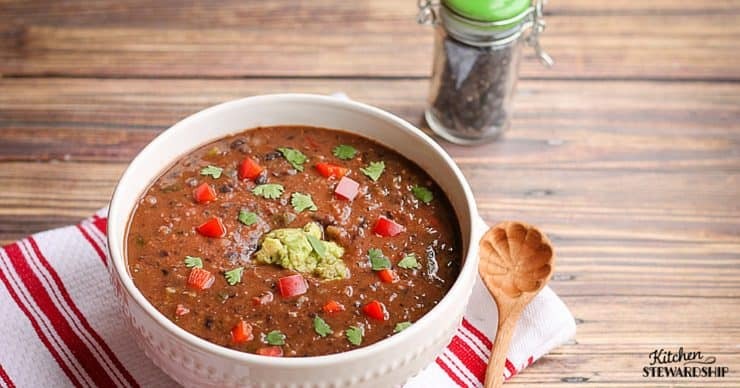 It’s exactly what you need – frugal, bean-based recipes to cut your budget and increase your nutrition. You get a hefty amount of informative text, all in one place. Well tested recipes! Over two dozen recipe testers worked hard to make sure all the recipes are not only delicious, but easy enough for a nervous newlywed to understand. You can cook beans! In contrast, some bloggers (maybe me, ahem) might make a recipe once, type it up quickly and even hit “publish” without reading through it carefully because it’s bedtime. The Everything Beans Book is very much the opposite. It’s been meticulously edited by my crack team of helpers and the recipe testers. Although some recipes are already available online, they have been rigorously updated, extended and enhanced. I guarantee there will always be content that remains exclusive to the eBook and never online. And just in case you enjoy Kitchen Stewardship, purchasing eBooks really supports the rest of what I do for free here on the blog (including the free soaked grains ebook coming next month!). 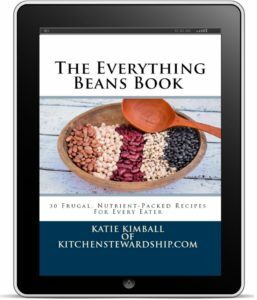 Beyond recipes, The Everything Beans Book also offers over 20 pages of information to facilitate your new love of beans and make sure you can cook with dry beans without any stress, and you even get the Kindle and Nook versions for free when you buy the PDF. There is also a 2 week meal plan using recipes from the book including shopping list and prep lists so cooking is super straightforward and easy! If you are not happy with your beans book purchase for any reason, including realizing that dietary restrictions omit too many recipes for your use, I am happy to provide a full refund. Simply email with your purchase information and it will be taken care of, no questions asked.